1. Modular structure, the whole installation, relocation is very convenient, low cost equipment. 2. 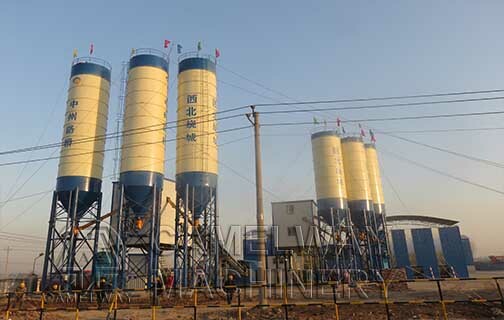 Main machine uses JS series twin-shaft forced concrete mixer, which has good mixing quality and high efficiency. 3. Aggregate batching machine ingredients, with accurate measurement, high production efficiency. 4. Cement, water, liquid admixture ingredients use electronic scales, with high batching accuracy. 5. Water supply system use water pump, and quick the water flow speed, spray evenly. 6. The aggregate charging use the inclination or small angle belt conveyor, with long life, high efficiency. 7. All the main components of the electrical control system adopts imported machine, with reliable performance, easy operation, the print function, with air conditioning. For more information about any of our products, please feel free to contact us or at the contact addresses available on this website.